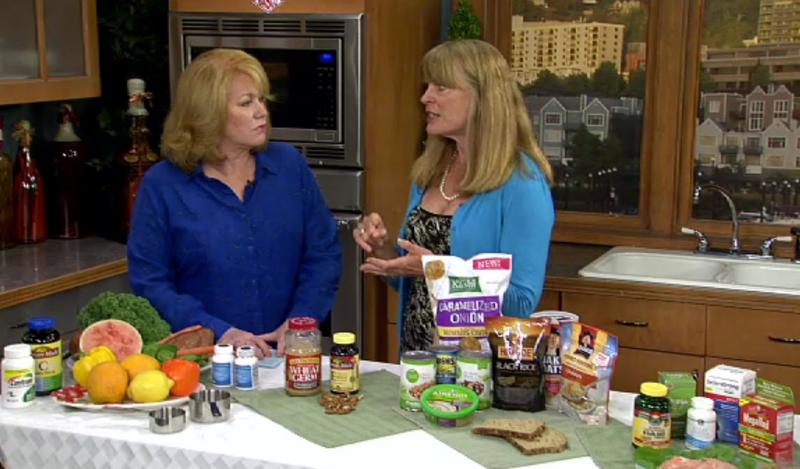 Registered dietitian Elizabeth Somer recently presented some thoughts on how to eat right for eye health on the TV program AM NorthWest in the Portland, Oregon area. Check out the full segment here. One in every four Americans suffers from one of the two leading causes of blindness: cataracts or age-related macular degeneration. This means eye health is more important than ever. Nearly 75 percent of Americans ages 55 and older begin to notice changes in their vision between ages 40 and 45. But eating right can help! So where can you get these nutrients? Since our bodies can’t make them, they have to come from your diet or a supplement. DHA and EPA omega-3s are found in fatty fish like salmon or mackerel, but for those who don’t like fish or prefer a vegetarian option, there are supplements available that are made from microalgae – a vegetarian and sustainable source of DHA and EPA. Vitamin C can be found in dark leafy green vegetables like kale or mustard greens. It can also be found in oranges, broccoli and kiwi fruit. Lutein and zeaxanthin can also be found mostly in dark leafy green vegetables like spinach or kale. You can also find it in broccoli. How do you care for your eyes? It’s so important to take care of our eyes before problems arise. Thanks for the post!